Well a company out of Azle specialises in righting the wrongs that Unique Performance has done with your precious investment. Revved Auto Concepts is owned and run by Sean Sawyer who with two other coleauges worked at Unique Performance shortly before it folded and are devoting a portion of their business to fixing or rebuilding the cars. 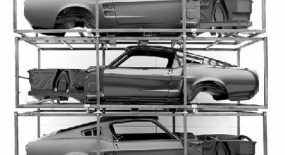 “We are probably the leading experts on how to make the [Unique] cars right,” said Mr. Sawyer, 33, who grew up in Hawaii and was a senior master tech at a Ford dealership before getting into building specialty cars. A look at their website gives the impression that they use their Unique ties to concentrate a large portion of their business to fixing the Eleanors they previously worked hard on. “By the time, Unique went under, we had solved a lot of the problems with the Super Snakes,” he said. 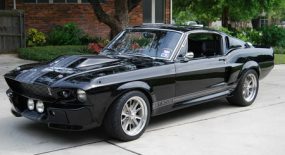 Their site details the upgrades and fixes that are common with the Unique Performance cars which include Suspension & Steering Upgrades, Engine control, Fuel system, electrical system, Clutch Upgrades. The page hides nothing, detailing with pictures the errors and problems the Unique Performance cars had. It’s good to see these guys are giving something back especially when they worked for a company that took so much away from it’s clients. 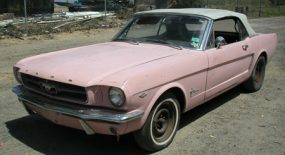 i’m falling in love for this Ford Mustang Eleanore, can you suggest me some web site or some contacts where i can find and buy this car??? I’m from Italy, is it possible to do it or shall i use some kind of Import service??? Your best bet is to contact Classic Recreations in the states. I know they send all over the world and have at least three builds going on now headed over here to Australia. Hey there guys! I just came across your blog while doing a google search. I appreciate your passing on our info and what we do with these cars. We put a lot of effort into making these cars right for the customers that bought them and suffered through years of not being able to enjoy them. Our goal is to make these vehicles powerful, durable, and completely street drivable. 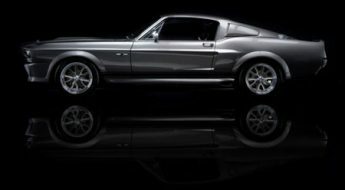 Visit our website at http://www.revvedautoconcepts.com or email me at ssawyer@revvedac.com with any questions you may have. Enjoy the road! 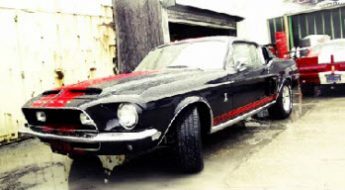 hi to all like to know if any one know where i could find a gt500 here in south africa im looking for one that needs to be rebilt looking for a real peace of scrap and at a good price if any one good help me please. 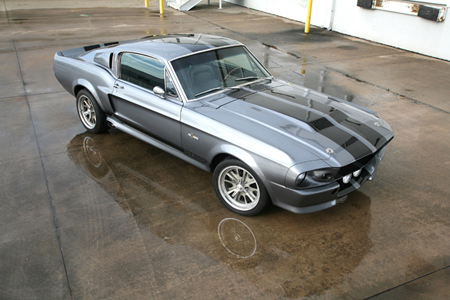 I have one of the few unique performance shelby’s that is right….It is brittany blue with parchment leather interior…it is not the supersnake but the 500gt 351 bored out. If you are interested I have pictures…Glad I got mine before it went south. Hey there Will… Long time no talk! I’m glad your E is treating you well. Give me a call or drop me an email when you get a chance! 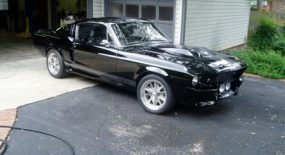 I have a couple of the Unique Perfromance Mustangs and neither one of them stops worth a damn. A Hydro Boost system will not fit and I’m wondering if anybody has a solution to my braking problems. Glad to know that there is someone out there willing to right the wrongs with custom performance vehicles. 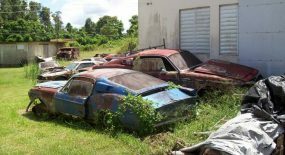 @ yaseen I’m also from sa I know that sa laws stipulate that if u import a car that’s 40years+ old there isn’t any customs duty not so sure about recreations, check out http://www.classic-recreations.com/ that’s ur best bet. Perhaps Mr. Sawyer should have been in charge at Unique Performance. I suspect that if he was, Unique Performance would have been around longer and have a much better administration. I just recently moved to DFW and was going to take my oldest son to see the horses of Los Colinas where pics were taken of UP’s cars. Just wanted to say thanks to you for keeping such a beautiful car alive after everything tarnished it’s history. Keep up the great work!! Thanks again for all you do. 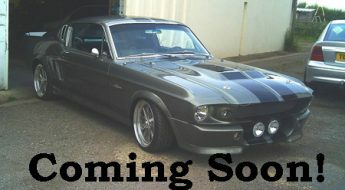 LOOKING FOR A RHD 67 – 70 MUSTANG REBUILD THAT I CAN BUY, LIVING IN SOUTH AFRICA AND DONT FIND ANY HERE.